Do you own this ship? Do you own this ship? I couldn't find you to proposition you! Exploring, Dreaming, Discovering…On my Turkey and Greece adventure, I met wonderful people and heard their inspiring stories, painted, studied perspective, (both in drawing and in thinking), hosted a couple of workshops, had some impromptu coaching sessions, reflected on ancient history and mythology (including the muses, of course!) and how it affects where we are today, explored amazing art and architecture, had some really great laughs, acquired a new son-in-law, and had only one injury. And I have a whole new novel of the magical sort in my head, waiting to be written. I did not however, find the owner of this ship. Nor did I reach the mysterious person by phone in Delphi. Posted in Adventures - Turkey, Greece and Wedding and tagged creative life coach, Creativity, crete, discover, dream, explore, greece, hania, life coach, self development travel, ships, spiritual travel, travel adventures, travel retreats, turkey. Bookmark the permalink. 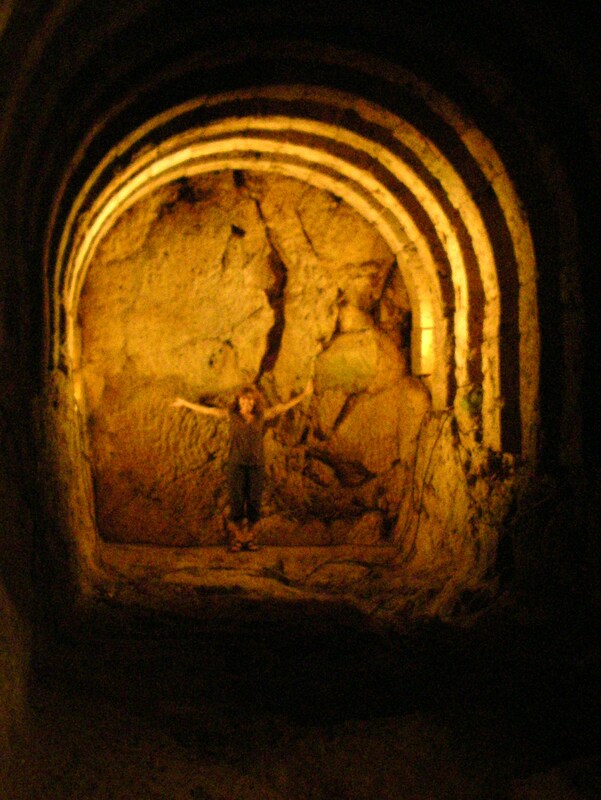 Since leaving Crete, the strained wrist event, the magical days at Delphi, and then an extraordinary bizarre day in an attempt to get to the Oracle of the Dead site… well, I feel like I’ve been on a quest, and I’m ecstatic at having arrived at the Oracle of the Dead! I do want to share that I invited my family on the other side to explore the nekromantium and I was delighted and amazed that in that instance I noticed so many butterflies on my path! The Nekrymantieou of Ashyra is also called a variety of other names: Necromantium of Ehpyra. Oracle of the Dead. Entrance to Hades. That is one of the challenges in Greece is the many names for the same place/ city / village. Once you know that though, you just pay attention. Their are various myths and historical ‘philosophies’ of this site… going back even before Homer’s time… up to 6- 8000 or more years ago. Seriously. The gist is that this site is the entrance to Hades. Not hell.. but the ‘other side’.. and it is here that souls are guided through on ships crossing waters to the other side. People could come here to see and talk with their family on the otherside, and would go through quite a process to be prepared for this event, including labyrinths, …. 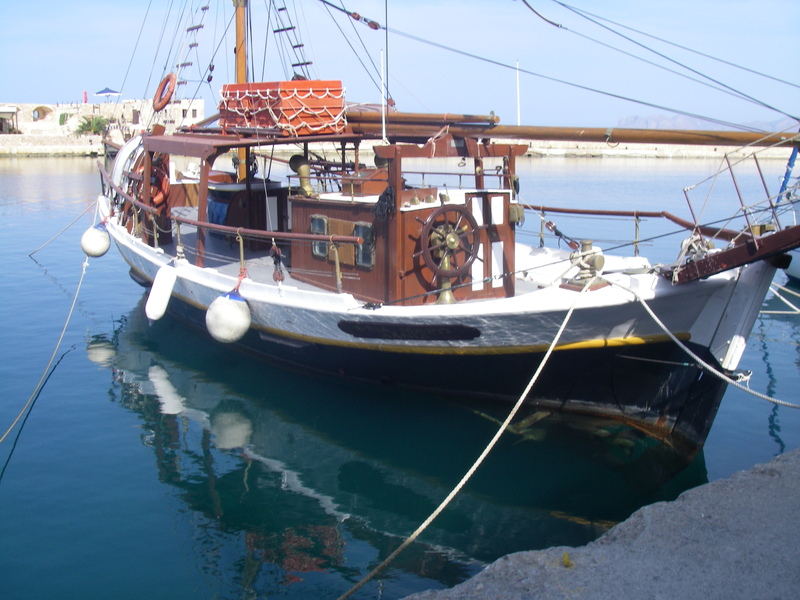 Posted in Adventures - Turkey, Greece and Wedding and tagged Adventures - Turkey, ancient magical sites, greece, Greece and Wedding, halloween, lafkada, life coach, Nekromantiae of Ephyra, Nekrymantium of Ashyra, opening to the otherworld, oracle of the dead, parga, prevesa, ships, spiritual travel. Bookmark the permalink. A strained wrist brings me to Delphi Oracle Site, on this most magical day – Halloween and Papa’s Day. And of course, arriving in Delphi is perfect… Home of all the mythology, gods, goddesses, faeries, nymphs, muses, magical ships.. Ya, you gotta know it feels a bit like ‘home’ to me. I’ve packed up my paper, pencils, and pens, a great mythology book, and Papa’s pant leg and am going to spend the day and evening in the ancient site of Delphi. And my journal… where apparently, I am rewriting ‘history’ with my wandering thoughts of what went on so many ‘a long time ago’s” ! The energy here in Delphi is astounding, truly feels like ‘all’ the ‘ways to enlightenment’ play joyfully in this ancient and beautiful location of the world. 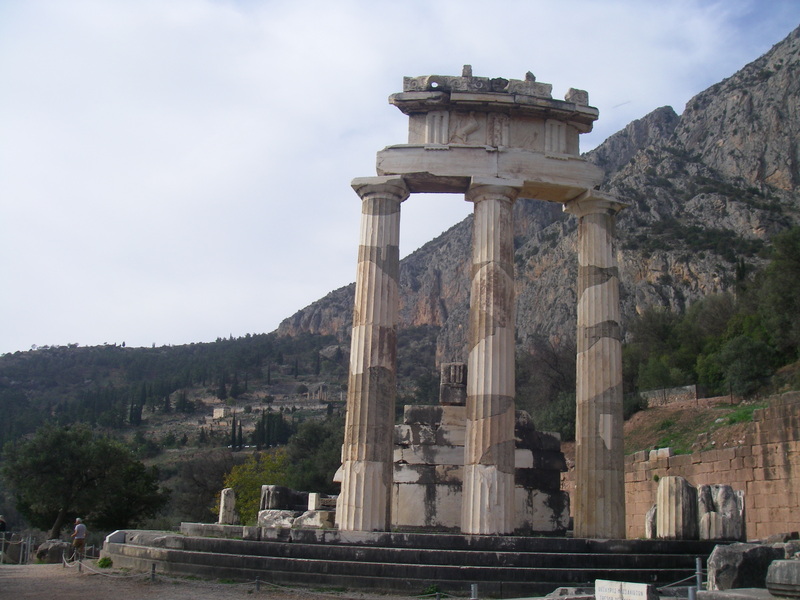 Delphi is most known for being an oracle site. Sounds a lot like the ‘gifts’ of so many nowadays – in fact, all of us, if we choose to discover this! I simply did not know that Delphi is high in the mountains, with incredible trees, cliffs, magical creeks… did you know this? I guess I wasn’t paying enough attention! I am pleased that so few people are here, as well. (like 10. none last night, except me!) Sometimes it’s hard to ‘pick up’ the energy of a place when it is overwhelmed with the energy of a lot of cranky and/or exhausted tourists! Courtney, Cody and Evalee who are in Portugal, are trying to get to the Church of Bones for this special day.. which also happens to be Cody’s birthday! Wishing all of you a most magical day… I truly believe Halloween is a special time to be open to the ‘more than what we see’. Maybe you’ll notice something ‘unseen’? And if perchance you are not reading this on Halloween.. ah, what the heck, notice something ‘unseen’ anyway! And if it’s not too too weird for a blog of a life coach.. I’ll fill you in on my antics of this day later! Post Trip Addendum: I had a strange encounter and I’m writing it here, just in case someone somewhere knows more. On my first day at Delphi, I went immediately to the museum. The greek museum attendant took an interest in me saying, “I know you.. I know your eyes.. or something” He shook his head, almost bewildered, and said, “It’s not important” I said, “Yes, it is. Tell me what you are thinking.” He mumbled, “You were here.. 500 BC… ” Then he went and got a piece of paper and carefully wrote down in ‘english’ a phone number. “Call this at 6:30 tonight ON THE DOT. This is not for me, it’s for you” Then he proceeded to take me to the window and show me the area of Delphi that I MUST go. I went there immediately.. Athena’s ‘Circle’ and it brought tears to my eyes. I decided I would go back the next day (Halloween) and sketch. Weird. A paragraph of this post went missing. but here it is again: I decided that if I had a phone in my room I would call. Sure enough, for the first time in my travels, I had a functioning phone (Hotel Pan) .. an olive green rotary dial model. At 6:30 pm ON THE DOT, I dialled. And the call wouldn’t go through!! It just made odd tones. I went to the hotel desk to use their phone, but no one was there. I went to use a pay phone, but they required a card, not coins.. and no stores were open to get ask or get the card I needed. Hmmph. I did go back to the museum the next day, but the fellow wasn’t there. Magical healing waters of Delphi. However, I did wander my way through Delphi that night, just me and all the magical energies. 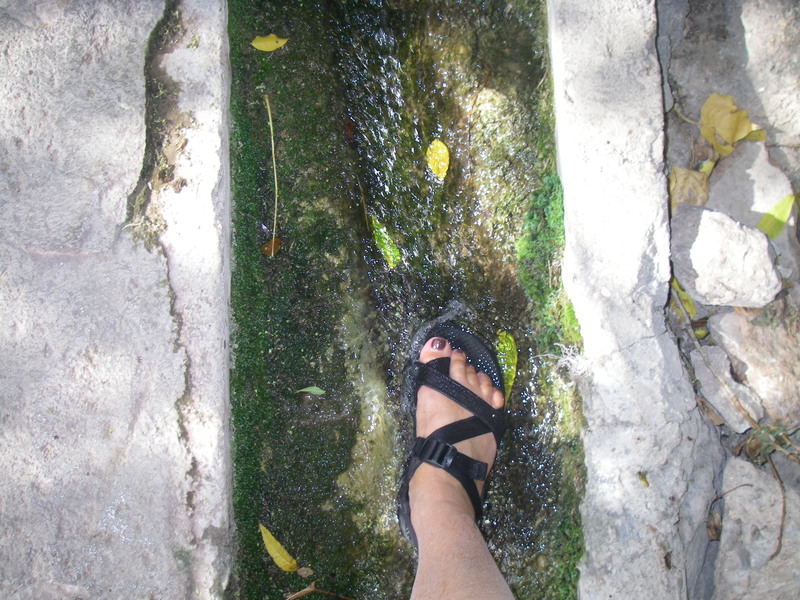 The most enchanting spot is the crevice where a spring flows through.. once used for bathing, cleansing.. and this time for healing. I soaked my damaged wrist, and my tired feet.. and of course, my wrist was better in the morning. That was a bit miraculous, I thought, considering that I could not move even one finger, let along my wrist, nor touch or hold anything, without extreme pain. Cool. Later at Athena’s ‘celebration circle’.. which is my name for it, I sketched and ‘heard’ the most amazing story in my head. Ya, it will get written. Post post script… HEY! WAIT A SEC! I still have the PHONE NUMBER! Posted in Adventures - Turkey, Greece and Wedding and tagged athena, delphi, delphi museum, delphi oracle, egyptian, encounter in dephi, faeries, fairies, fairy, flying goats, goddesses, gods, greece, halloween, healing, life coach, magic, muses, mystical, mystical ships, nymphs, oracle site, ships, travelling artist, travelling wedding dress. Bookmark the permalink.